Ola, one of India’s most popular mobile apps for transportation, appointed Dr Badri Raghavan as its Chief Data Scientist in February 2017. Since then, he has been strengthening the company’s roots in data science and drawing valuable insights to build innovative solutions. He brings more than two decades of experience in using data, data science and machine learning to solve complex business problems to have maximum impact for both the company and end consumers. He has worked with industries spanning transportation, e-commerce, energy, banking, healthcare, and telecom. Analytics India Magazine caught up with Raghavan where he shared insights on how he leverages rich data streams generated by Ola’s millions of customers as well as on the wealth of AI and advanced machine learning techniques to deliver the best possible experiences to its customers. Ola is ambitiously looking to be a part of the incredibly creative and dynamic ecosystem and interact closely with partners, academic collaborators and some of the best technologists and creative minds in the world. 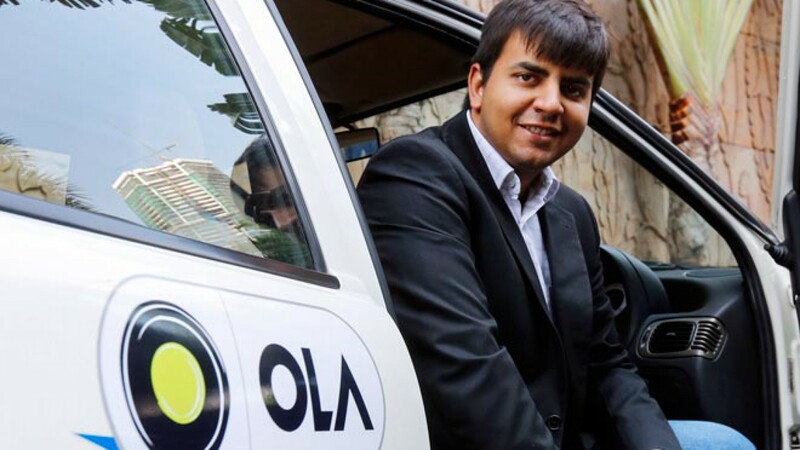 Analytics India Magazine: With a huge database of drivers, customers and every single trip that takes place on its platform, Ola’s business is deeply rooted in data science and draws insights to build innovative solutions. Tell us more about it. 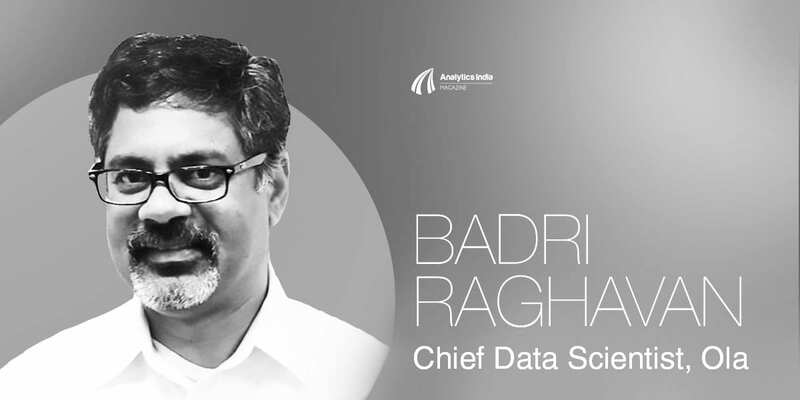 Badri Raghavan: We use analytics, ML, and AI technologies as part of our data science toolkit to address a wide variety of problems that are customer as well as driver partner facing. The aim of the application of these technologies is to continuously enhance safety, convenience and affordability of our on demand services and offerings. For customers, we are focused on solving problems such as keeping our promise on ETAs, before as well as during the ride, price dynamics, personalisation, real-time and localised navigation, as well as leveraging data to enhance safety and security. For driver partners, data science plays a key role in optimising their business potential (for example, maximising earnings) and encourage entrepreneurship. These are deep-rooted problems that are being solved using fundamental data science techniques. AIM: What have been the benefits of using analytics till date? Tell us about a few use cases where adoption of analytics has reaped major benefits. BR: Seven years of operations, over 14 categories, a million driver partners, and more than 110 cities means billions and trillions of bytes of data and insight into every single decision made by our customers; commuters and driver partners. This includes the type of mobility solution (cabs, auto, share, etc. ), time and day of booking, pick up and drop locations, distance travelled, and so much more. Ola Play, industry’s first connected car platform is another great example of personalised ride experiences. Data Science helps us to understand the kind of ambience the commuter prefers in the cab; taking in to account volume levels, infotainment genre preferences, playlist preferences, down to leveraging data to build new context and destination driven experiences are key areas of data science and artificial intelligence applications. AIM: How big is your analytics team? What are the positions you hire in analytics at Ola and what are the skillsets you look for? BR: At Ola, we have a very broad and deep focus for hiring practices in the analytics teams. We hire both business and product analysts who help operational and product management teams. Their profile involves delving into and making sense of historical data, real time data, understanding trends, recommending business propositions, and creating reports with insights. We also have a world class team with core ML and data science skill sets. Their skill set is required to bring fundamental technology advantages to our platform. An entry level data scientist is expected to have masters degree in research in specific machine learning areas such as image processing or speech recognition, supervised and unsupervised methods and deep learning methodologies. We are always on the lookout for entrepreneurial professionals and are well on our way to becoming a premier machine learning team in India. AIM: How is data science, ML and AI leveraged at Ola? What are the various business units and departments that use these tools? BR: Broadly, we leverage data science across our entire platform as well as at an organisation level. The goal is to make every one of the millions of decisions we make to become more intelligent, more data driven, and driven by data science models. Every business unit, from the core marketplace unit that focuses on an optimal match of customer and driver partner for ride sharing, to Ola Play, our in-car experience platform, all leverage our models. AIM: With operations across 110 cities and more than 10 lakh driver partners on board, Ola has established a strong foundation of data and analytics. How is it critical to company’s growth? BR: We, as an organisation believe that data science is a fundamental technology requirement in order for us to succeed as a business. It offers us the ability to create unique IP which helps in overall business sustainability and growth and helps innovate new products and services. Transportation is a fundamental utility and it is a mass need. We thus need different mobility solutions that are safe, affordable, and reliable for the Indian marketplace. To achieve this, the fundamental belief is that data science has to be at the core to deliver on this promise of making our offerings reliable and accessible for everyone. AIM: Ola Share is a classic example of leveraging big data to improve matching rates and minimise deviations. Are there any similar solutions at Ola? BR: Data is generated every second through Ola’s platform. Leveraging this data, a key focus area, is improving the navigation experience for both driver partners and customers in terms of reaching the pick up and drop destinations as quickly as possible. This involves modelling traffic and speed conditions and more accurately estimating optimal routes that should be taken. Historical as well as current data from nine lakh cars on the road and analysis of it has helped us to create an accurate real time picture of traffic conditions across the entire network. We use this vast amount of data to create uniquely accurate and reliable models of ETAs and suggest less congested routes to greatly improve and enhance the commuting experience. AIM: Is Ola looking forward to starting it own self driving team, what are the key developments in this area that the company has witnessed? Are you looking to hire for this newly emerging team? BR: At this stage, we are focused on our connected car technology pursuits, focused on making the technology more contextual, relevant, productive, meaningful, safe, and enjoyable for both; customers and driver partners. These are experiences that are going to be a reality in the immediate future, are extremely relevant at this point in time and are the stepping stone for future advanced technologies. AIM: Tell us about your association with Microsoft to build a new connected-vehicle platform. What are the developments the company is looking forward to? BR: Together with Microsoft, Ola is building a new connected vehicle platform. It will transform driver and passenger experiences with vehicle diagnostics, improved in-car productivity, advanced navigation, predictive maintenance of vehicles and more. At the heart of this partnership is Ola Play, the world’s first connected car platform for ridesharing, that will leverage Microsoft AI and IoT to enhance driver experiences with telematics and navigation guidance; passenger experiences with cloud-based infotainment and productivity. AIM: What are your business strategies in this field with respect to your competitors, some of whom are already doing a lot in this space? BR: With our focus on tackling every problem with a hyperlocal approach, we are in the business of creating mobility for billions of people. We are more concerned about what our consumers want, what they need and how to satisfy that need. Working and collaborating with the government and regulatory authorities is also very important for us, it stands for our endeavour to create a holistic and robust mobility ecosystem.